� Managing all areas of the company�s finance and accounting including general accounting; AR, AP, Cash flow, Taxation, Fixed Assets, Costs and Inventory. � Being responsible for monthly, quarterly and yearly closing. � Being responsible for overall accounting and financial tasks including monthly and yearly budgets, AR, AP, Cash Flow, Petty cash and Taxation. � Overseeing Accounting and Financial operations. � Ensuring all transactional documents is field accurately and timely. � Handling on petty cash balance and reconciliation. 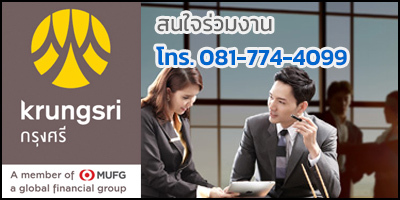 � Ensuring that tax, Vat and withholding tax are accurate and are send to Revenue Department of Thailand. �ѡɳЧҹ WE ARE HIRING IN SAMUI ! �ѡɳЧҹ 1. Assist the Branch Manager in increasing profit, sales, , drive/promote products, expand markets and controlling operating expenses by ensuring upkeep of store and equipment. 2. Support the Branch Manager in recruiting, hiring, and training of Team Members, including new hire training, orientation, certification, and development. 17. ��ҧ�Դ�����о�� �Թ��͹����� 12�000 �ҷ ++ ��ɯ���ó� ���.